We have been using Zoom H2 to pick up event audio live feed. 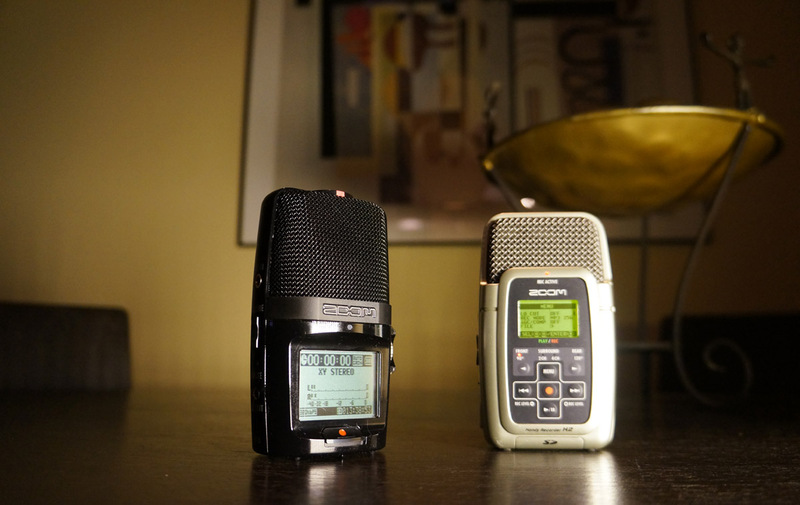 The reason we go with H2 instead of H4N is the direction of built-in microphones. H2 picks up sound in front (or rear) in different degree while the device is standing vertical up right. H4N's microphone position requires the unit be laying down flat for the same direction pattern.